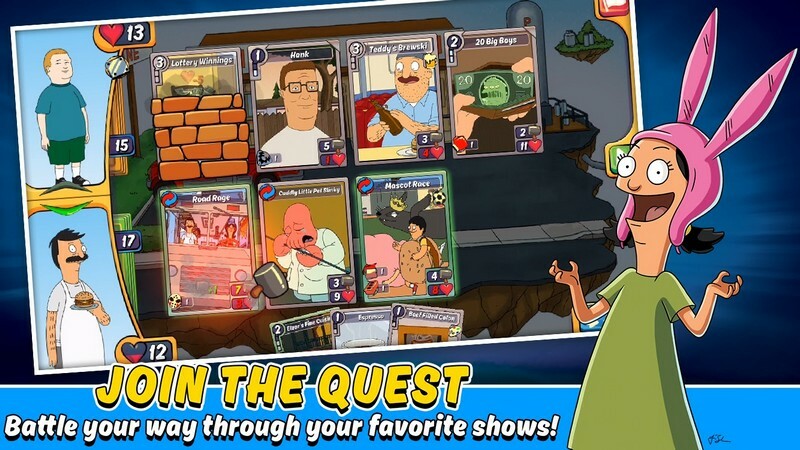 Animation Throwdown: TQFC (The Quest For Cards) is a free-to-play CCG developed by Kongregate for Android and iOS. 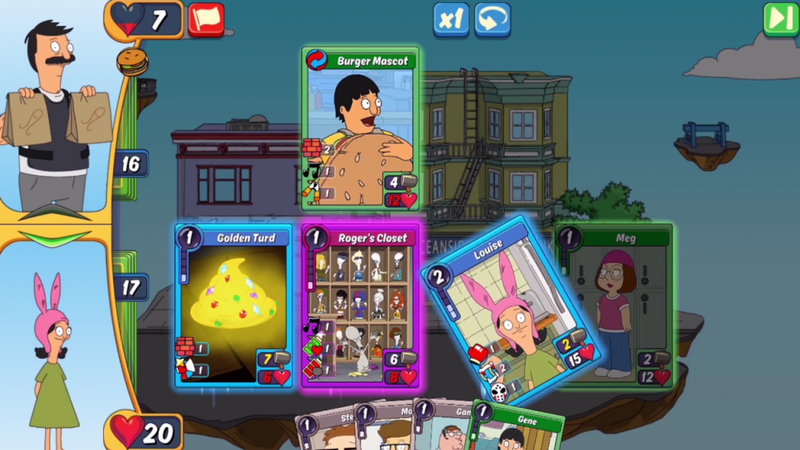 Animation Throwdown: TQFC features some of your favorite characters from animated shows like Bob's Burgers, Futurama, American Dad, and Family Guy in a whacky, hilarious collectible card game! 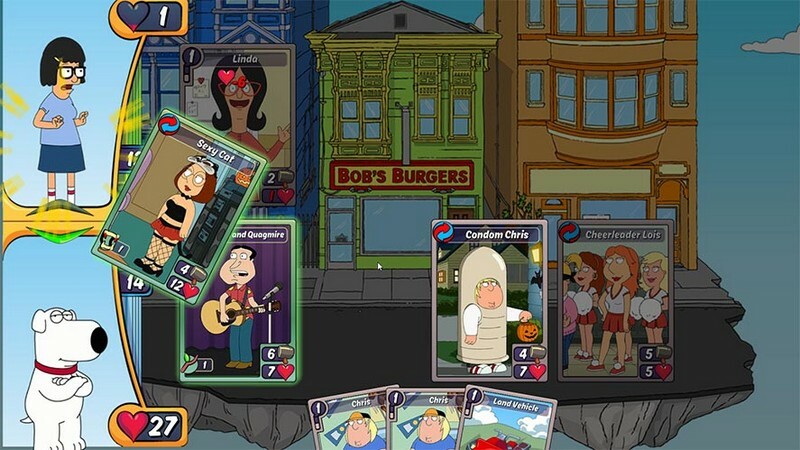 The fate of the world might not truly rest in your hands, but Stewie Griffin, Tina Belcher, Hank Hill and more are still waiting for your help. 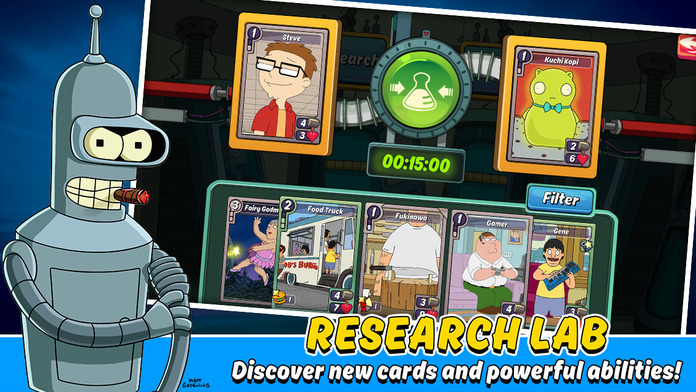 Try not to drop your phone out of sheer laughter as you collect, fuse, and upgrade cards to help them achieve victory! 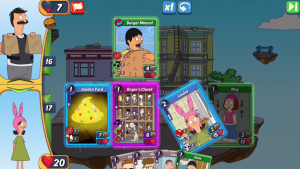 Singleplayer Chapters: Play through 25 Chapters of the game by yourself that will take you to familiar locations and events in your favorite cartoons! 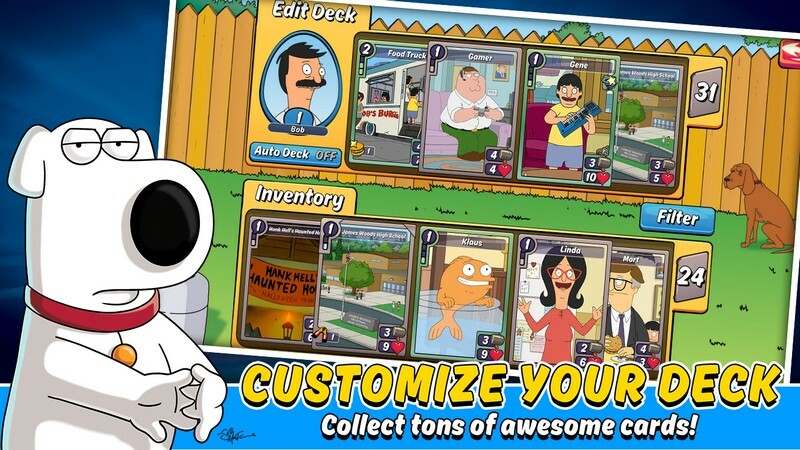 PvP Arena: Fight against other players from around the globe in the PvP Arena and prove that your cartoon character line-up is the best out there! 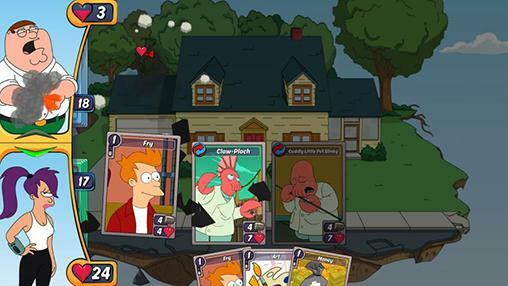 Card Fusions and Upgrades: Upgrade your cards or fuse them with other cards to make your deck incomparable in terms of raw power. 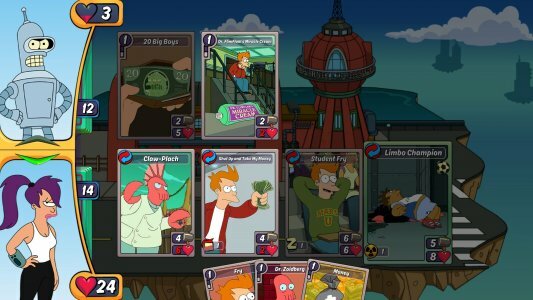 Animation Throwdown, a card battling game featuring characters from Family Guy, Futurama, and more, is available on Steam.